How many hazing incidents do we need to hear about on college campuses before people finally figure it out? Enough is enough. 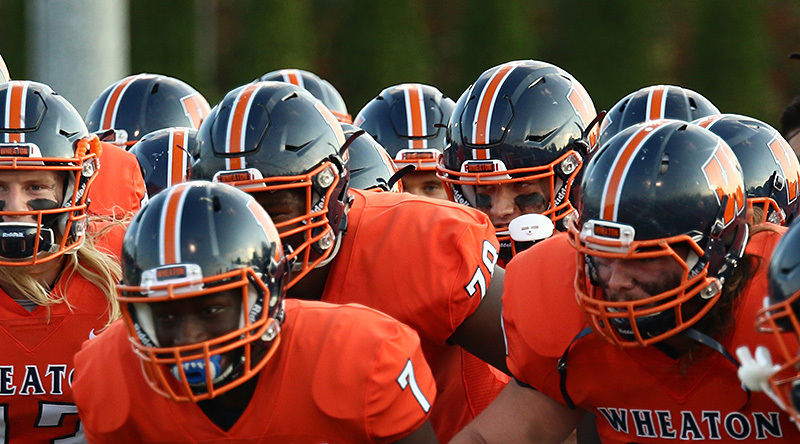 The latest Division III instance comes from Wheaton. It was more than a hazing incident. It was an assault that left two individuals on a baseball field in the middle of the night and one of those victims badly injured after emotional and physical abuse, according to charging documents. I’ll be open with you: I was hazed quite a bit in my adolescence and even in college. I did not enjoy the embarrassing situations I, or others, were put in. I hated it. I dreaded it. Part of what fed the hate of it all was I had been bullied, harshly at times, since I was 11. Hazing felt like bullying, just under a different name. I refused when I could and was demoralized when other teammates, even best of friends, refused to step up and put an end to it even when they knew I was uncomfortable. I found some individuals seemed to almost have a blood-lust when it came to hazing. They had a zeal for the entire thing. It was a chance to embarrass someone else, even worse a teammate, for one reason: their own personal enjoyment. Nothing about it was about team bonding. Over the years laws have actually been written to end hazing, though the NCAA (and its members) have stopped short of making it illegal in the organization. Unfortunately, it seems hazing has actually gotten worse. For as much as I hated anything related to hazing when I was in college, I don’t remember anything worse than shaving one’s head, drinking far too much, wearing embarrassing outfits (including cross dressing), and other embarrassments. Physical abuse? Hitting, sodomizing, stripping one naked? Who thinks this is okay to do to another for any reason? The Wheaton football case, while disgusting, is not rare. It is happening on college campuses, across all divisions and affiliations every year. It isn’t being reported and colleges seem to be brushing it under the carpet. Hazing doesn’t need to exist to allow a team to bond. Listen to Northwestern football coach Pat Fitzgerald talk about alternatives and why hazing makes no sense. If it isn’t something a top-end Division I program is going to allow, how in the world can anyone overlook it in Division III? What disturbs me even more than the abuse under the guise of hazing is, how were the suspects still on campus, let alone on the team? The college states they “took swift action to initiate a thorough investigation,” after the incident took place 18 months ago (and the victim was removed, by his father, from the campus). In a statement from Wheaton per the incident, they say the investigation resulted “in a range of corrective actions” and they are “unable to share details on these disciplinary measures” because of federal laws prohibiting them. They claim they can’t discuss it (more on that in a moment), but according to the Chicago Tribune “several players” were “punished” with 50 hours of community service and an eight-page essay assignment about their behavior. If you look through participation reports and box scores, there may have been a missed game at the beginning of last season – perhaps a one-game suspension. So, a student is beaten, abused in many ways, injured, and left half-naked in the middle of a random field and the school deems some community service, a paper, and a game is good enough? That is in no way a punishment that discourages or stops hazing nor abuse. I’ll be blunt: In my opinion, the students should have been not only cut from the team, but also expelled from campus. Again, if this had not been classified a “hazing” incident and just considered a straight-up assault, do you really think they would still be on the team or on campus? Let’s ask it a different way: if these men weren’t members of a nationally ranked football team, would they still have been at Wheaton? I understand, fully, that we live in a country and society that presumes innocence until a jury of peers says otherwise. However, that doesn’t mean the college has to wait for charges, a trial, and punishment to be handed out before they act. They have their own rules and code of conduct. Wheaton says the third-party investigation discovered conduct that was “entirely unacceptable and inconsistent with the values we share as human beings.” They also said it was unacceptable as “members of an academic community that espouses to live according to our Community Covenant.” Yet, Wheaton allowed the students to remain on campus and members of the football team. The college says they are “profoundly saddened that any member of our community could be mistreated in any way.” Then get serious about stopping hazing. Send a message that makes sure students understand hazing will not be tolerated so that another member of the community will not be mistreated. Wheaton has already missed this particular opportunity to hold up their end of the anti-hazing policy. Now as charges have been leveled and public opinion has swung, it was announced the players have been suspended. Good, but too late. There is no room for this kind of behavior in our society. I don’t care if the suspects in question are All-Americans. In fact, for that very reason, these individuals should be held to an even higher standard. They literally represent the college by not only wearing a uniform that says “Wheaton” on the front, but also through awards and distinctions. When it comes to hazing, a lot of coaches, admins, and colleges seem to turn a blind eye. As long as it doesn’t go too far, they don’t stop it despite state and federal laws and college policies prohibiting it. The more they look away, the worse the hazing gets and suddenly it’s physical, mental, sexual abuse along with emotional torture and more. It all could have been stopped by simply sticking to the policy. No hazing. Hazing needs to end, period. No more excuses. No more allowances. End it now. There is absolutely no benefit to be embarrassed and humiliated, let alone injured, at the hand of those who are supposedly your teammates. But also end it because it is abuse and assault. There are many ways to bond as a team without the need to haze. Just take a look at this website from the Positive Coaching Alliance. Or visit the NCAA’s anti-hazing efforts. Also, college administrations have to step dealing with these types of issues with kid gloves. Expulsion, suspensions, and even tough discipline of the entire team should be the first course of action – not the last and certainly not after the carpet has been pulled back and we see what is underneath. Bucknell just recently punished their men’s and women’s swimming programs for something, in comparison to Wheaton, not nearly as severe. Notice a couple of things: Bucknell is coming down pretty hard on the programs for infractions they don’t believe represent the college or the campus in the correct way; the college is also telling people what happened and the decisions made without revealing the individuals involved publicly. They put a statement out on their website, had quotes from administrators, and gave details as to the punishments being put in place and the ramifications. Wheaton has said nothing until after the charges were leveled on the five players. Nothing in the 18 months since the incident took place. If they acted like it didn’t happen, it didn’t happen, right? Bravo to Bucknell and shame on Wheaton. Dave McHugh is the host of Hoopsville on D3hoops.com and handles video production for D3sports.com sites. Redlands quarterback Chad Hurst led four second-half scoring drives in the Bulldogs’ win. The opening weekend of the season is exciting enough without all these hear-stopping finishes we had. North Central … Otterbein … Delaware Valley … Mississippi College … Bridgewater … Illinois College. Plus a big Top 25 matchup and much more to talk about. The Around the Nation Podcast is a weekly discussion between D3football.com Executive Editor Pat Coleman and Deputy Managing Editor Keith McMillan, who writes the Around the Nation column. It’s the first analysis of the week that was. The show tends to run anywhere between 30 and 60 minutes per week — fit it into your lunch hour. Welcome to the first of 16 weeks and around 1,250 games standing between us and the 2011 Division III football national championship. Keith McMillan will be watching Stevenson play its first game in program history and I’ll be at a pair of games: Buena Vista at UW-Platteville and UW-Whitewater at UW-La Crosse. And you guys will be at … well, one of the nearly 100 other games going on on Saturday. Join us in the live chat below, or you can appear via Twitter by using the #d3fb hashtag. Or, you can also comment using the board’s comments feature as well.